Who Will Gov. Scott Pick To Replace His Former Second-In-Command? With the 2013 Legislative Session at an end, Florida Governor Rick Scott is now searching for potential Lieutenant Governor candidates. He’s looking to replace his former Second-In-Command, after she resigned amid a charity gambling scandal. “There’s 19.2 million people in the state, and let me tell you, I’ve gotten a lot of ideas from people. I get a lot of ideas all the time on who I should pick,” said Scott last week. Scott also hasn’t shown which way he’s leaning, but he says he hopes to pick a candidate who shares his ideas. “I’m going to do it in a methodical manner, so I’ll get it done as quickly as I can. But, I want to make sure I find the right person that’s the number one person for jobs and number one for education,” Scott added. A spokeswoman from the Governor’s office would not comment on how long the search will take, but says the Governor is busy reviewing the budget at this time. 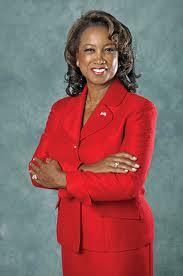 Florida’s Lieutenant Governor Jennifer Carroll has resigned amidst a criminal investigation involving her consulting firm. As the Florida Times-Union first reported, Carroll’s firm did work for internet café operator Allied Veterans of the World. Its owners were recently arrested on racketeering charges. Carroll submitted a brief resignation letter Tuesday morning, saying simply, "it has been an honor to have served the state of Florida in this capacity". Update 3:10 pm: A sweeping multi-state investigation of a purported veterans' charity based in Florida has led to nearly 60 people indicted and the resignation of the state's lieutenant governor. Florida Lt. Gov. 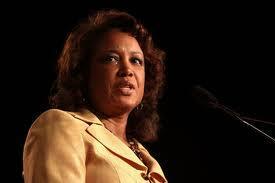 Jennifer Carroll once did public relations for the charity Allied Veterans of the World. She was questioned in the investigation, but she has not been charged with wrongdoing.